“Mt. Rushmore Area and Beyond"
"Discovery" is our introductory GOAL Venture offering. Join us as we travel to the beautiful Four Points CO. Activities may include, but are not limited to icebreakers, team-building, challenge course, hiking, various other activities, and meal preparation. In order to properly accommodate all students seeking to go, please only sign up for the trip closest to your GOAL site. Upon completion of all requirements, participants shall receive 0.5 electives credit. "Discovery" is our introductory GOAL Venture offering. 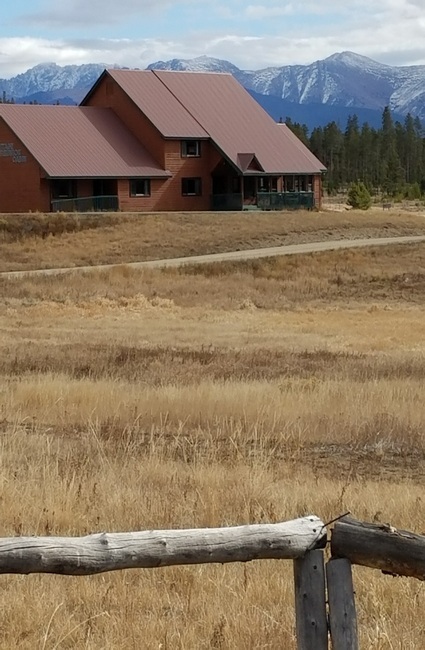 Join us as we travel to the beautiful Granby CO. Activities may include, but are not limited to icebreakers, team-building, challenge course, hiking, rock climbing, swimming, archery, roller skating, and meal preparation. In order to properly accommodate all students seeking to go, please only sign up for the trip closest to your GOAL site. Upon completion of all requirements, participants shall receive 0.5 electives credit. Join GOAL Ventures as we travel to Moab Utah! The Moab Class is centered around creative writing, a research project and primary source use through native history. The capstone of the class is a week long trip. 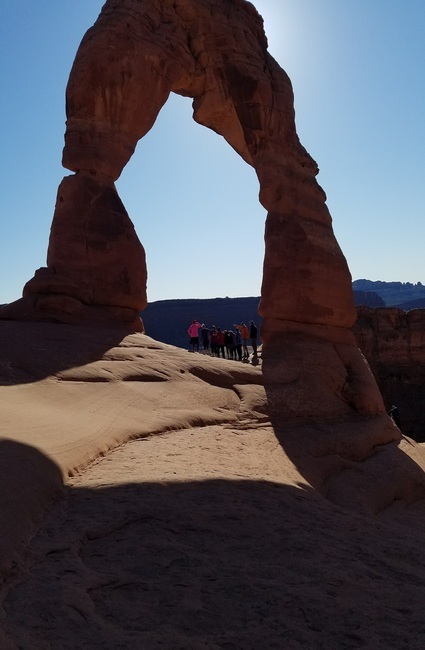 On the trip we will visit the awe inspiring Arches National Park, explore the town of Moab itself, hike in the beautiful Colorado River valley, learn about the new sustainability programs Moab is spearheading and have Thanksgiving dinner at the Red Cliffs Lodge. Activities include hiking, creative writing, research project, and exploring native history. The trip will have indoor accommodations. Full showers, bathrooms and beds are provided. Moab weather in November can be sunny and 80, or bellow freezing and light snow. Prepare for all weather types! This is a very physically active trip! We will be out hiking most days. Upon acceptance students will be enrolled into the Moab - GOAL Ventures, schoology class. This class will house all pre trip and post trip assignments. Grades will be earned in line with GOAL's grading policy. The class is worth .5 English credit. This year's Raptor Resolution Run/Walk is December 30th at the Nature and Raptor Center of Pueblo. For those students and staff who are coming from out of town, let us know and we will arrange a place for you to stay. So, join the Goal Venture Team and your new and old friends ending the old year on a positive note, and starting the new year with the "GOAL" of making 2018 the healthiest year of your life. All entrants will receive a race shirt, warm refreshments before the race, lunch after the race, and will be eligible for door prize drawings. Registration link below. Phone 719-549-2414 or visit center at www.natureandraptor.org for more information. Race starts at the Nature Center Yurt 5200 Nature Center Road Pueblo, CO 81003Where: The Raptor Resolution Run (R3 for short) starts and finishes at the Nature Center Yurt (round looking structure) at the Pueblo Nature & Raptor Center. Take Pueblo Blvd south from Hwy 50 and turn west (toward the mountains) at 11th street and go down the hill to the parking lot. Course: The race starts and finishes on the trail near the Yurt. Water Stops: There will be a water station at the halfway mark of the run and at the end of the race. Runners: Awards to the top two in each age group as follows: 19 & under, 20-29, 30-39, 40-49, 50-59, 60-69, 70 & up. A raptor release will go to overall male and female winners (not eligible for age group awards & some restrictions apply.) the top person in each age group will receive a $100 NRCP gift certificate. This year's trip will take place in the Leadville and Tennessee Pass area. The dates are January 21-26, 2018. In order to attend, you must be current with your work and be ready to fully participate in all the activities. This is a letter grade class, Math credit, there will be pre-assignments required as well as during and post trip assignments. Our base for this trip will be the Leadville Hostel, located in the highest incorporated town in the USA. Our days will start early and end late. 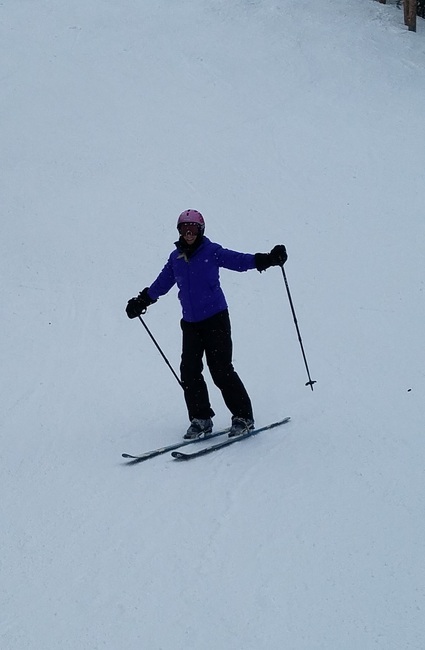 This is a trip for those who want to be physically active in the Colorado Winter environment. While on this venture, we will spend time exploring the historical sites, snowshoeing, "snowriding" (skiing or snowboarding), swimming, and participating in other exciting opportunities. As with all our trips, you will be expected to actively participate in all of the learning activities, including journal writing, completing the daily educational challenges, helping with the meals preparations, cleanup and other duties that are required for the successful and enjoyable trip. We will be staying at Leadville Hostel. This is a very physically active trip! Most activities will be taking place at or above 10,000 feet of elevation. It is also very cold this time of year in the mountains. Be prepared to be outside in temps below freezing. Upon acceptance, students will be enrolled into the GOAL Ventures – Winter Orientation, Schoology class. This class will house all pre-trip and post trip assignments. Grades will be earned in line with GOAL's grading policy. The class is worth .5 Math credit. In the Winter Orientation class, students will learn how to use algebraic equations in order to solve applied motion equations in the realm of winter sports. They will also utilize mathematical modeling and predicting to experience the boom or bust economy of Leadville during its mining years. 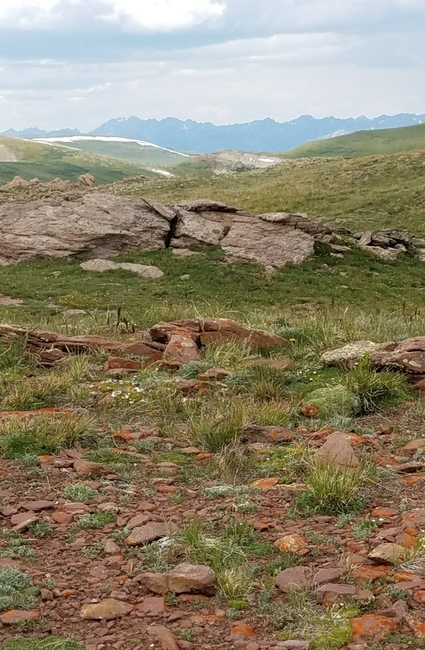 The Capstone trip to Leadville CO includes travel to Camp Hale, exploration of historic downtown Leadville, a campus tour of Colorado Mountain College, snowshoeing, and skiing or snowboarding at Ski Cooper. This year's trip will take place in the Tucson and Organ Pipe AZ area. The dates are February 20 – March 2. In order to attend, you must be current with your work and be ready to fully participate in all the activities. This is a letter grade class, Social Studies credit, there will be pre-assignments required as well as during and post trip assignments. Come experience the true desert! 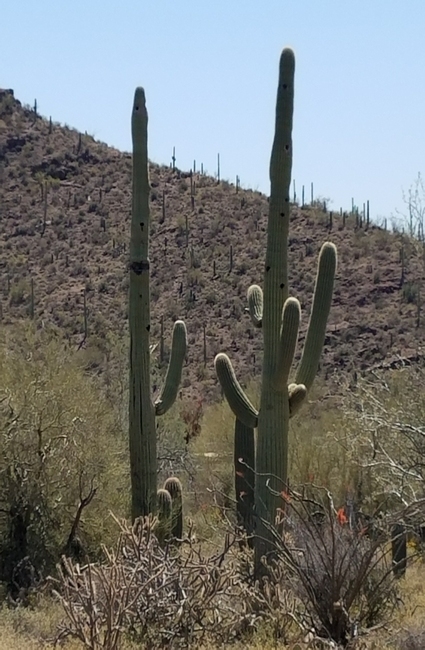 Organ Pipe Cactus National Monument - Hiking Trails, 640 plant species, 100’s of migrating birds, endangered desert animals, Saguaro and the only area in the United States where the large Organ Pipe Cactus grow. This will be the place to call home for this venture. During our time together, we will camp in Tucson, AZ, visit the Sonoran Desert Museum, and other sites of the area. After we are orientated to the desert life, we will pull up camp and travel further south to Organ Pipe Cactus National Monument, which is located right on the border of Mexico and the United States! We will be camping in the Group Campsite. This will be our fourth year to visit the park and the National Parks Service and the Border Patrol are excited to have us return to help with projects. Our days will be filled with service projects, exploring the area, and learning and playing while we develop a deep appreciation of Sonoran Country. Located just over an hour’s drive from the U.S. border, Puerto Peñasco (Rocky Point) is a Mexican fishing town which we intend to visit for a day the Center of Desert and Ocean Studies. While there we will explore some intertidal pools, the town, and have a chance to shop a little along the shore of the Sea of Cortez. (Please note you will need a passport to be able to attend this part of the trip). This is a moderately physically active trip. We will be camping outside for most of the trip. The desert is hot during the day, and cold at night, so be prepared for a wide range of temperatures. Upon acceptance, students will be enrolled into the GOAL Ventures – Desert Orientation, Schoology class. This class will house all pre-trip and post trip assignments. Grades will be earned in line with GOAL's grading policy. The class is worth .5 Social Studies credit. 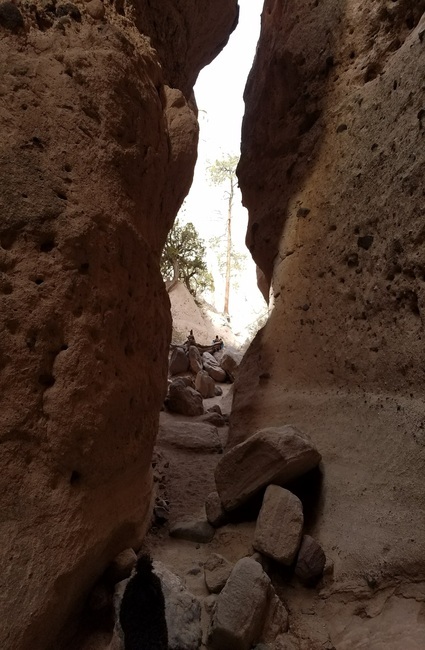 The Desert Orientation course will focus on the various government and native organizations in the area, and how they interact with one another. The Capstone trip is to Tucson AZ, Organ Pipe Cactus National Monument AZ, and for those with passports to Puerto Peñasco Mexico. On trip activities include camping, a trip to the Sonoran Desert Museum, hiking in the Sonoran Desert, service learning projects along the border, NPS night programs, and exploring the local town of Ajo, AZ. This year's trip will take place in the Goblin Valley and San Rafael Swell areas of Utah. In order to attend, you must be current with your work and be ready to fully participate in all the activities. This is a letter grade class, Science credit, there will be pre-assignments required as well as during and post trip assignments. Our base for this trip will be the Goblin Valley state park group campsite, located just minutes from the San Rafael Swell. Within the park we will explore the valley of the goblins and the goblins lair. On the swell side, we will be hiking Little Wild Horse, Bell, Ding and Dang Canyons. We also will be doing a rafting trip down the Colorado river. We will be camping as our lodging, GOAL will provide tents, sleeping bags, sleeping pads and all cook equipment needed for the trip. As with all our trips, you will be expected to actively participate in all the learning activities, including journal writing, completing the daily educational challenges, helping with the meal preparations, cleanup and other duties that are required for a successful and enjoyable trip. This is a very physically active trip! We will be hiking 4+ miles each day through rough, rocky terrain. We also will be outside all day, with little shelter opportunities in between activities. Upon acceptance, students will be enrolled into the GOAL Ventures – Canyon Orientation, Schoology class. This class will house all pre-trip and post trip assignments. Grades will be earned in line with GOAL's grading policy. The class is worth .5 Science credit. The Southeastern face of Mt. 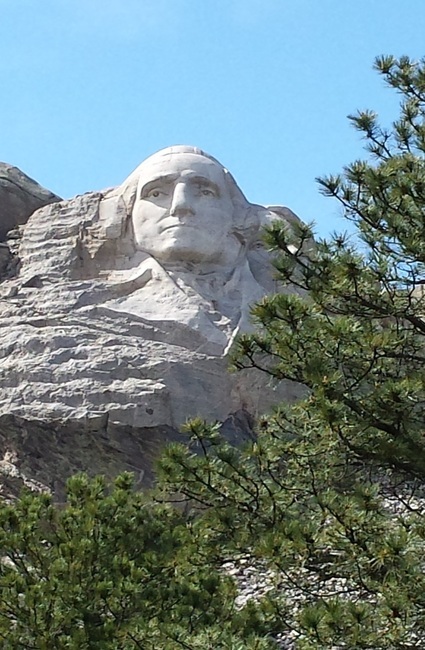 Rushmore in South Dakota's Black Hills National Forest is the site of four gigantic carved sculptures depicting the faces of U.S. Presidents Washington, Jefferson, Lincoln and T. Roosevelt. Led by the sculptor Gutzon Borglum, work on the project began in 1927 and was finally completed in 1941. This will be just one of the amazing places we will visit during our stay in the Rapid City area. This is a moderate physical activity trip. We will be staying in cabins at the storm mountain center and no meal prep is required. Expect to be outside most days with varying weather and temperature. Upon acceptance students will be enrolled into the GOAL Ventures – Mount Rushmore, schoology class. This class will house all pre-trip and post trip assignments. Grades will be earned in line with GOAL's grading policy. The class is worth .5 Social Studies credit. The Mount Rushmore (and Beyond) course will focus on the land use of the area, and the conflict between the Native Indian tribes, the miners in search of gold, and the homesteaders just trying to get by. The capstone trip is to the Black Hills in South Dakota. Activities include travel to Mount Rushmore National Memorial, exploring the mining history of Deadwood and Lead, an excursion into nearby Rapid City, and hiking.